Who better to share some tips on golfing in the Home of Golf than one of the country’s most successful women golfers? Inverness-based golf professional Gillian Stewart is a former Ladies European Tour star, with four wins under her belt, and currently one of Scotland’s leading golf coaches. We asked Gillian about some of the lesser-known gems in her area, and what makes a Scottish golf experience so memorable. It’s Masters week and I wish I was there. I was lucky enough to have been able to attend the last two Masters Tournaments with friends. This year’s jaunt was not organised on the basis that ‘one can get too much of a good thing’. Now that the entire attention of the golfing world is on Augusta however, my view has changed somewhat. I am now of the opinion that ‘one can never get too much of a good thing!’. The best I can think of now to find that Masters mood is to get the ‘Pink Azaleas’ on the go (the signature drink of Augusta National Golf Club). In terms of big golf events however, all is not lost for 2014, as I have just managed to get myself organised with Ryder Cup tickets for September. Of course the Ryder Cup is being played in Scotland this year (Sept 26th – 28th at Gleneagles) and is a must for people who enjoy big sporting events. Recent Ryder Cups have produced the most dramatic finales and I don’t expect this year’s event to be any different. 2014 is the Year of the Homecoming for overseas Scots descendants, so what better time to make that trip to Scotland, the Home of Golf, and play some traditional links golf. I am currently putting together a little golfing itinerary for some Irish friends who are visiting in October and so can perhaps offer up some suggestions. The Highlands is now recognised as a golfing ‘destination’ in its own right with the big names of Royal Dornoch, Nairn and Castle Stuart tempting many golfers north. If you’re planning being at the Ryder Cup in Perthshire it isn’t too much of a hop to add on a few days either side of the event, whiz up the A9 and enjoy some of what the Highlands has to offer. For our own autumn escapade, having ‘done’ all the Moray Firth courses, we propose basing ourselves in Dornoch with the course itself being the ‘must play’ pinnacle of the week. Everyone has heard of Royal Dornoch, however I have been instructed by my friends to select three other courses in the area, which are maybe a little bit less well known, but which will be equally as enjoyable for us all to play. After careful consideration my selection at the moment is Fortrose and Rosemarkie, Brora and Golspie. The first two I know, but I have thrown Golspie into the mix on the basis that it is a serious omission from my own golfing experience and I have heard so much about it over the years. The great thing about all these courses for the visitor is that they are playable for all standards of player whilst remaining challenging for the best. Fortrose and Rosemarkie is currently a blaze of yellow with the whins being in full bloom. It’s not just aesthetically pleasing, you can tell it’s spring by the wonderful scent of the blooms, which on a calm day can be quite potent. Not a long course, F&R is situated on a peninsula in the Moray Firth with Chanonry lighthouse a prominent feature at all times. An added bonus round here is the opportunity to spot the local the dolphin colony. 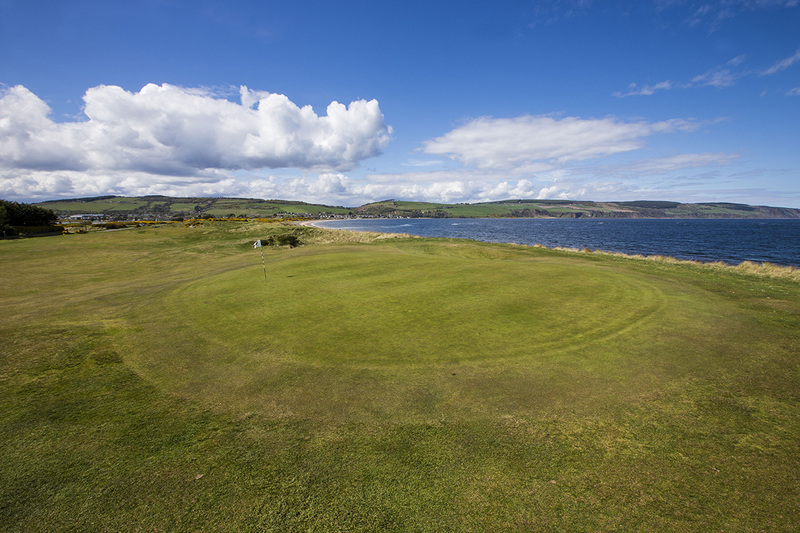 The greens are small at Fortrose and difficult to hit and consequently the course is deceptively challenging to score well on. A bit like Muirfield, the first 9 follows an outer loop going around in one direction, with the back 9 forming an inner loop going in the other. Next on my itinerary is going to be Brora. If you want to experience authentic links golf you simply have to play here. F&R and Brora are both James Braid courses, and here his original layout has remained virtually untouched. Built on true linksland, a number of woolly-coated sheep and some cows still occupy the territory and the greens are protected with electric fencing. You will not encounter smoother, faster greens anywhere and the views are truly spectacular. And then there is my ‘mystery course’. Golspie, I am reliably informed, is one of the most charming of all holiday golf courses. James Braid was a busy fellow in these parts in the early years of the 20th century and was involved again here re the layout which offers up an unusual mixture of woodland, parkland and links all in the one layout. There are apparently six holes of each so it sounds an altogether intriguing prospect. Finally, Royal Dornoch itself – one of the world’s classic courses and, for me, one of the most enchanting places to play golf. The course is essentially man made and when you play it you feel like you are stepping back in time. James Braid wasn’t involved here but Old Tom Morris certainly had an influence. From the second green one walks down a path through a wall of high whins opening to a vista north along the Dornoch Firth, like almost no other in golf. All the holes at Dornoch are memorable with stunning sightlines everywhere but my favourite is no 14, aptly named ‘Foxy’. 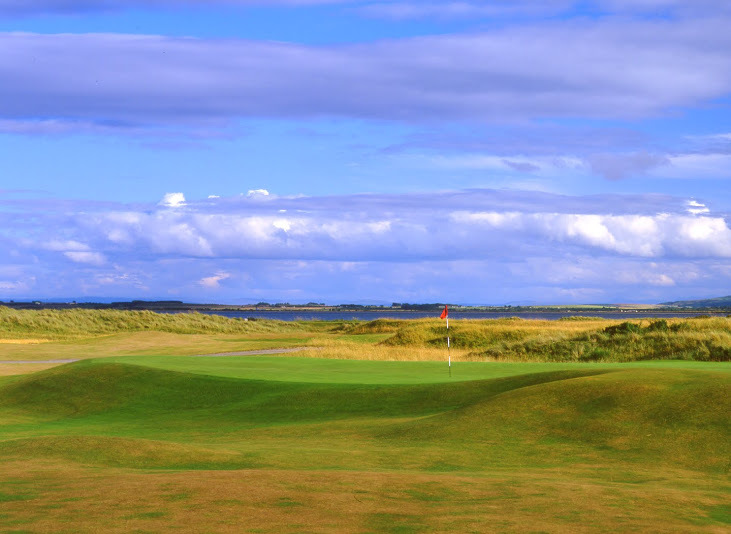 It is Dornoch’s signature hole referred to by Tom Watson as “among the most perfect natural golf holes in the world”. Foxy has no bunkers and no water but requires a long approach shot to an elevated, narrow, tremendously difficult, peninsula-style green. Plateau greens are a striking feature of the course. Dornoch is perhaps best known as the birthplace and early training ground of the legendary golf architect Donald Ross. He emigrated to the United States in 1899 but Dornoch left a massive impression on Ross particularly his lasting signature elements of plateau green complexes, reflecting largely god’s work at Dornoch. We will see evidence of Dornoch and Ross’s influence on global course design when we watch the US Open in June this year from Pinehurst, North Carolina. So all you golf fans out there, consider a trip to the Highlands in 2014 whether you’re going to the Ryder Cup or not. There are plenty of courses to choose from and I can promise that you will encounter golf in its most unadulterated, and natural form. As my pal Maureen Madill (BBC golf commentator) says of this type of golfing experience: ‘it nourishes the soul’. If you’re interested in golf tuition you can contact Gillian through her website – www.gillianstewart.com. 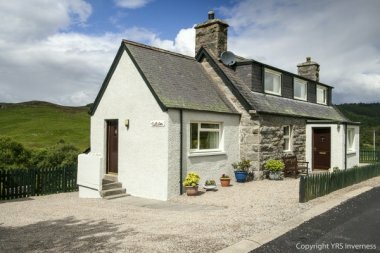 You can also browse a selection of self-catering accommodation for golf holidays in Scotland.